You are here: Home » Social media special! You’re probably wondering just what all this social media special thing is. It’s a special pricing offer on our unmetered package for new clients, which is being promoted via social media. That was too short! What’s this unmetered thing? What’s the deal with that pricing? We’ve been around for 16 years – which makes us ancient, in Internet years. The eight represents the month we had our official, first fulltime employee – three months after beginning the business. We think there’s a certain amount of symmetry there in that number. The unmetered plan is the same as the other hosting plans we offer, and includes space for storage, email, mailing lists, autoresponders, mySQL databases, phpMyAdmin and remote mySQL, the Softaculous autoinstaller functionality (to allow the easy installation of applications to your account), spam filtering, statistics applications, index and error page control: in short, it’s a full-fledged hosting account, with all the tools you need to build or expand your site(s). You also get our 24/7 in-house support, never outsourced, to address any issues or concerns that you may have. The conditions on usage of services here for the unmetered plan are the same as are defined in our Acceptable Use Policy. The most important of these conditions to keep in mind for unmetered clients are the prohibitions against using the space for the purposes of major software repositories or distributions, excessive CPU/memory resource usage may require a change to a dedicated server or alternative that may incur additional fees (never fear: we are quite flexible and reasonable about this), and the space cannot be resold to third parties (this is why we have reseller plans available – if you are interested in a reseller package, including transfers of existing reseller packages from other locations or bulk type reseller accounts, please contact us for options). In addition, the files stored on the servers are restricted to those for use on the web site(s) under the account. Use of the space as a general backup point for personal systems is not allowed. Seriously. Don’t do this. There are companies that specialize in that function, and we recommend finding one that fits that need, if you have it. Of course, there is no spamming permitted from this network. Ever. Of course we can! It’s actually one of the hallmarks of our service here that we go above and beyond in order to get clients situated and then about their business with as little fuss as possible. If the current host is using cPanel as the control panel, we can usually do a server to server transfer, depending on the load and responsiveness of the remote server. If that is not possible, or if the site is at a host using a different control panel, we can and will manually transfer your site to our network. There may be manual recreation of certain items required, such as mailboxes, when the transfer is done from a host using different systems than ours. We charge no fees for transferring sites into the network or reconfiguring them if that is required for purposes of paths, usernames in scripts, or other modifications that may be necessary. We can also transfer domains into our management queues as well – virtually any domain extension can be transferred. The transfer fee varies based on the domain extension, but the most common extension types (.com, .net, .org, and others) carry a $12 transfer fee. 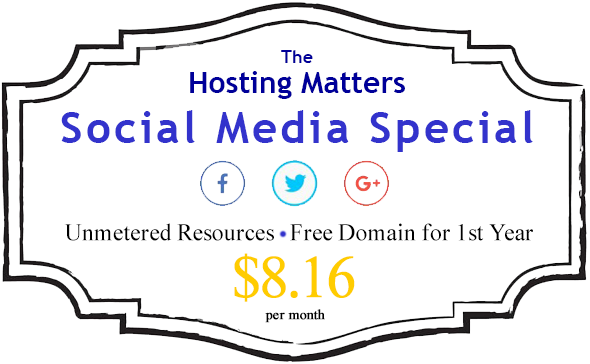 For new clients coming in via the social media special, one transfer of any of the more common domains will be done for free. Other domain extensions, including country code specific extensions, are invoiced at various rates depending on what the registrar sets. Transfers also extend the registration period by a year beyond the current period. Subsequent renewals are invoiced at the standard rates, which can be viewed on our Domains page. Please note that domains must be unlocked at the current registrar before they can be transferred, and the transfer request must include the authorization code or equivalent, which can be obtained from the current registrar when the lock status is verified to be off. The domain extensions included in the social media special, either as one year free registrations or free inbound transfers are: .com, .net, .org, .info, .biz, and .us.